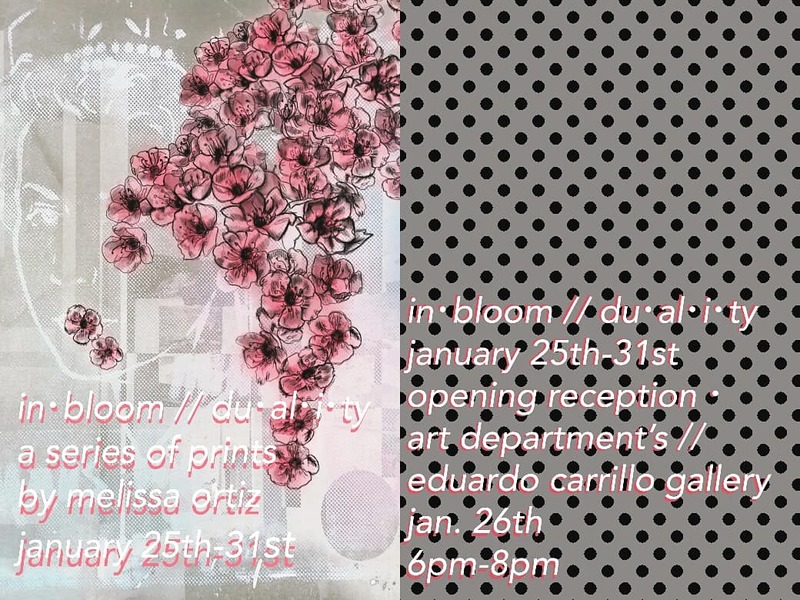 Melissa Ortiz' senior show "in•bloom // du•al•i•ty" will be having its opening reception on Friday January 26th, 2018 from 6pm-8pm. at the Eduardo Carrillo Gallery in the Art Department at UCSC. Show runs from January 25th - 31st.